Iran’s Foreign Minister Mohammad Javad Zarif has met with Cuba’s President Raul Castro while on the first leg of a six-nation tour of Latin American countries. The meeting took place on Monday in the Cuban capital of Havana, where the top Iranian diplomat arrived on Sunday night at the head of a high-ranking politico-economic delegation. The two statesmen discussed the development of bilateral ties, international and Middle East affairs, as well as the upcoming summit of the Non-Aligned Movement (NAM), which is to be held in Venezuela later in the year. 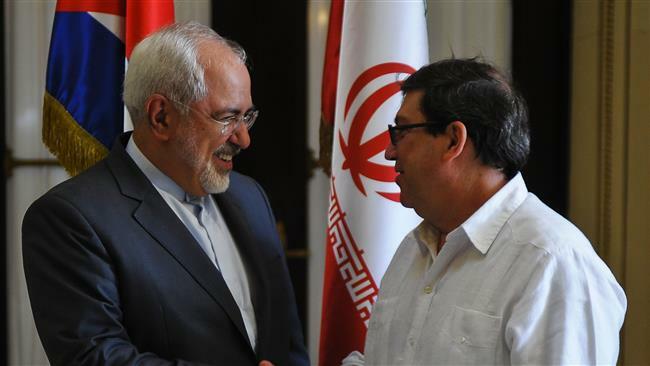 Zarif earlier met with his Cuban counterpart Bruno Rodriguez and the country’s Minister of Economy and Vice-President Ricardo Cabrisas. 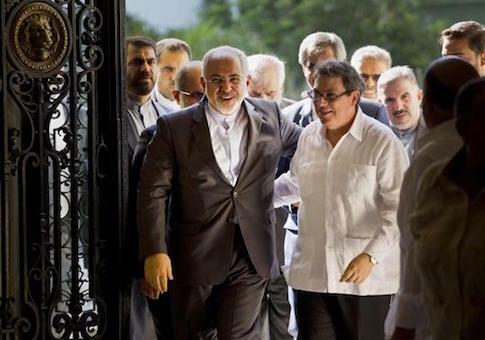 The top Cuban diplomat, for his part, hailed “the Iranian foreign policy’s victory” in reaching a landmark nuclear agreement with world powers and the deal’s subsequent implementation. Cabrisas visited Iran earlier in August, when he handed over a written message by President Castro to President Hassan Rouhani. He said Havana sought the promotion of all-out relations with Tehran. Editor’s Note: Directorate General of Intelligence (DGI) officer Ricardo Belen Cabrisas Ruiz served as the Commercial Counselor in Ontario from approximately January 1967 through at least October 1970. 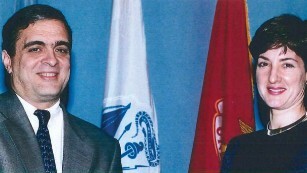 According to a declassified Defense Department intelligence report, known DGI officer Ricardo Belen Cabrisas Ruiz then served as Ambassador to Japan. He subsequently became Cuba’s Foreign Trade Minister sometime prior to October 1983. In the mid-2000s, he served as Minister of Government within the Office of the President. In the late 1980s, the DGI was reorganized and renamed the Directorate of Intelligence (DI). Though the United States has restored relations with Cuba, and President Barack Obama is planning to visit the island later this month, it’s unclear if the two countries have declared a truce in the spy wars they have waged for more than 50 years. Lawmakers in Congress have warned the Obama administration that allowing Cuba to operate an embassy in Washington and consulates throughout the country will only make it easier for Havana to deploy spies and agents in the United States. 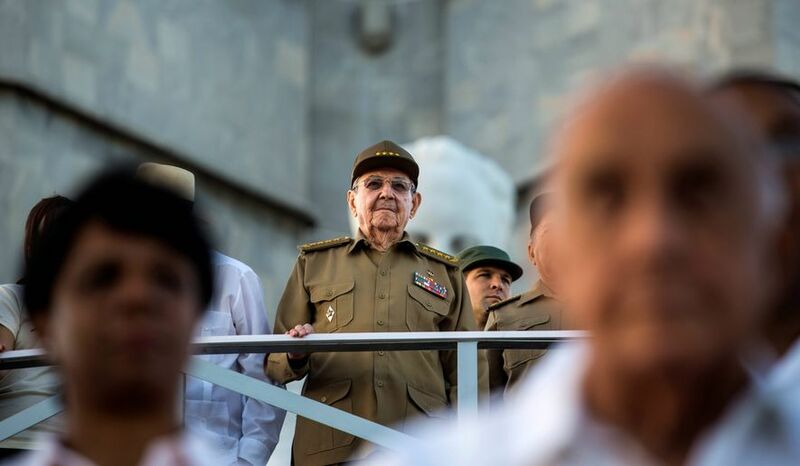 “We are all too familiar with the Castro regime’s efforts to utilize their diplomats as intelligence agents tasked with the goal of committing espionage against the host countries,’’ according to a letter sent in 2015 to the U.S. Department of State by five Cuban-American lawmakers including Miami Reps. Ileana Ros-Lehtinen, Mario Diaz-Balart and Carlos Curbelo, as well as presidential candidate and Texas Senator Ted Cruz, and New Jersey Rep. Albio Sires, D-N.J. Since Fidel Castro seized power in January 1959, and over the next five decades, Havana built one of the world’s most active intelligence services — one that dispatched spies and agents to penetrate the highest levels of the American government and some of the leading Cuban exile organizations. 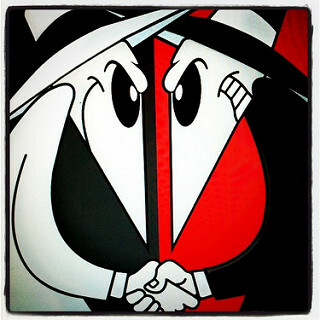 In fact, some of the biggest crises in U.S.-Cuba relations can be traced to the involvement of Cuban spies and agents — from the downing of two Brothers to the Rescue planes to the theft of U.S. military secrets at the Defense Intelligence Agency and the spying of U.S. military facilities in South Florida and infiltration of leading Cuban exile organizations in Miami by members of the now-defunct Wasp Network. 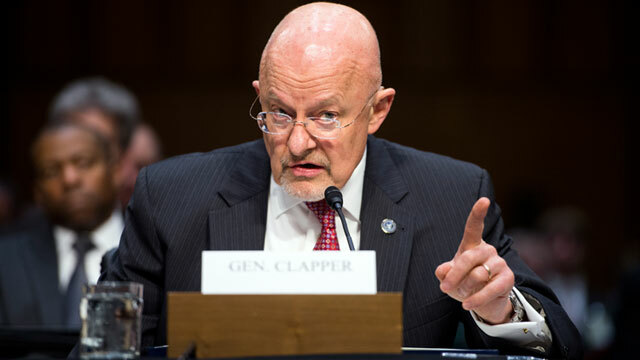 Editors Note: It seems the Miami Herald didn’t pay attention during last month’s testimony by Director of National Intelligence, General James R. Clapper, who told Congress Russia, China, Iran & Cuba pose the greatest threat to the United States. The Brazilian government’s main espionage branch spied on three foreign diplomats at embassies and in their homes, says a report by ABIN (Brazilian Intelligence Agency). The report includes details on ten secret operations between 2003 and 2004 and shows that even countries with which Brazil has attempted closer relations in recent years, such as Russia and Iran, were targets of ABIN. It also says Russian diplomats involved in negotiations to purchase military equipment were photographed and followed on trips. The same occurred with employees of the Iranian embassy, followed so that ABIN could identify their contacts in Brazil. The report also shows that ABIN agents followed Iraqi diplomats on foot and by car to photograph them and record their activities at the embassy and at their homes. The Presidency’s Institutional Security Cabinet, to which ABIN is subordinate, confirmed the operations and said they were carried out according to the Brazilian legislation. The Brazilian government says they were counterintelligence operations, that is, they sought to protect secrets in Brazil’s interest. During the “Miucha” operation in 2003, ABIN followed the routine of three Russian diplomats, including the former general consul in Rio, Anatoly Kashuba, who left the country in the same year, and representatives of the Rosoboronexport, the Russian weapon export agency. The “Xá” operation monitored the routines and contacts of Iranian diplomats – ABIN followed the steps of Iran’s then-ambassador in Cuba, Seyed Davood Mohseni Salehi Monfared, during a visit to Brazil between April 9 and 14, 2004. An ABIN agent who examined the report at Folha’s request said the Iranians were likely followed at another country’s request, a typical cooperation between intelligence agencies. The report also shows that the Brazilian government spied on the Iraqi embassy after Iraq was invaded by the U.S. in 2003. In the years after a brutal 10-year Soviet occupation, Afghanistan became a petri dish in which a culture of organized crime, radical politics and religious fundamentalism festered—and where Osama bin Laden set up operations. Now something similar may be happening in Bolivia. The government is an advocate for coca growers. The Iranian presence is increasing. And reports from the ground suggest that African extremists are joining the fray. Seventy-five-year-old José Maria Bakovic, a former World Bank infrastructure specialist, was targeted but refused to yield. As president of the highway commission from 2001-06, he had developed a bidding system for road construction to reduce corruption. This stymied Mr. Morales. Bakovic was twice imprisoned and appeared in court more than 250 times for alleged administrative crimes, according to people familiar with his case. In early October, prosecutors summoned Bakovic to La Paz for another grilling. Cardiologists said the high altitude would kill him. The government overrode their objections, effectively issuing a death warrant. He went to La Paz on Oct. 11, had a heart attack and died the next day in Cochabamba. In testimony before the House Committee on Homeland Security in July, global security specialist Joseph Humire described Iran’s interest in ALBA: “Iran understood that the wave of authoritarian populism known as ’21st Century Socialism’ that was sweeping through the region offered the Islamic Republic a permissive environment to carry out its global agenda against the West.” Bolivia is fertile ground. Iran may have put up some or all of the money to build a new ALBA military training facility outside of Santa Cruz. According to Mr. Humire, the Iranian Embassy in La Paz is “reported to contain at least 145 registered Iranian officials.” There is also Bolivian support for radical Islamic converts like the Argentine Santiago Paz Bullrich, a disciple of Iranian cleric Mohsen Rabbani and the co-founder of the first Shia Islamic association in La Paz. Iran may be using its Bolivian network to smuggle strategic minerals like tantalum (used to coat missiles), Mr. Humire told Congress. It may even be smuggling people. Unconfirmed but credible reports describe high officials ordering the issuance of I.D. cards and passports to numerous young, fit “turks”—a slang term in South America for Middle Easterners. One witness told a Bolivian source of mine (who asked to remain anonymous for reasons of safety) that the foreigners were Iranians but not diplomats. In late September, according to the Bolivian daily La Razón, Bolivia’s prospective consul to Lebanon was detained by Bolivian officials for allegedly trying to smuggle 392 kilos of cocaine to Ghana. Thanks to steady cocaine demand, the Bolivian economy is awash in cash. Africa lies on the major transit route for European-bound cocaine. That may explain the increased sightings of Somalis, Ethiopians and South Africans in Santa Cruz, an unlikely place for African migration. In April, the partially burned body of a mutilated black man was found near the Brazilian border, suggesting a drug deal gone bad. An unusual marking was carved on the victim’s right thigh, as if villains wanted to be sure to get credit for the brutality. Within days the Spanish daily ABC reported on a Spaniard, also tortured with a carving on his leg, found in the same area. I learned from a source who did not want to be identified that the victim allegedly told police that the black man who had died was his friend and was African. According to my source, a witness said the dying man also murmured the words “al-Shabaab,” the name of the Somali terrorist group. One Bolivian I know claims that at Mr. Morales’s 2006 inauguration he saw Mohamed Abdelaziz, secretary general of the separatist Polisario Front, which has carried on a long conflict with Morocco. North Africa is becoming a hotbed of violence. There are rumors of insurgent and terrorist alliances. If Mr. Abdelaziz was indeed in La Paz, it raises further questions about Bolivia’s foreign policy.